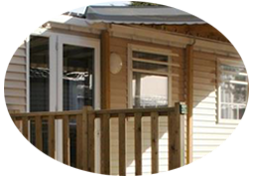 With an area of 32 m² and a capacity of 4 places your mobile home consists of a main room with living room and kitchenette a covered terrace, a bedroom with a double bed and a bedroom with 2 Single beds. You are 2 couples and you want to share your rental for more conviviality. 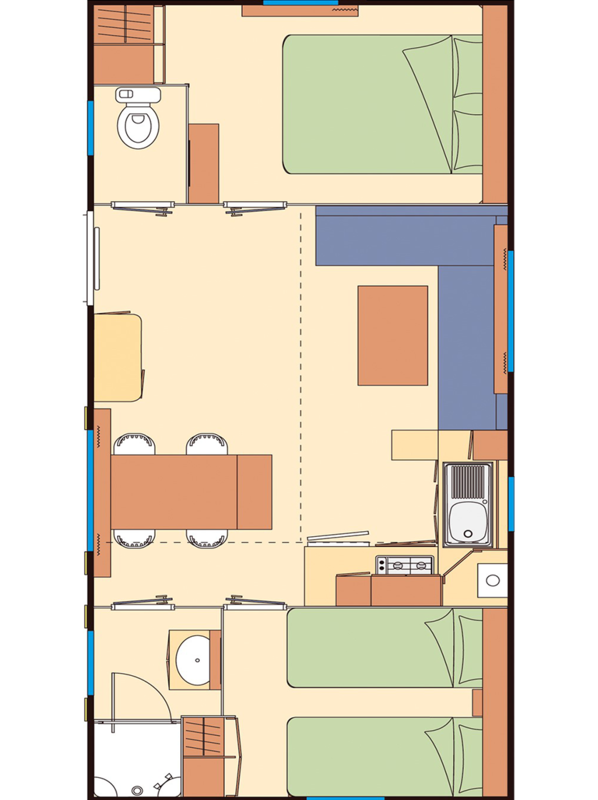 Your mobilhome and its 2 opposite rooms and its big living room, will offer you privacy and comfort. With its large bay window opening onto the terrace you can enjoy the unobstructed view of the lake and the surrounding mountains.